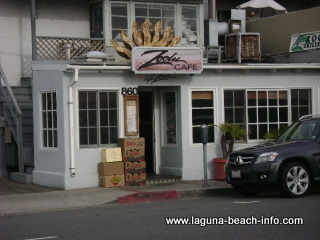 Cafe Zoolu serves Eclectic California Cuisine featuring fresh seafood with Hawaiian, Asian, Mexican & Cajun influences! With over 40 years of mesquite-broiler experience, Chef Michael Leech prepares incredible meals with the freshest ingredients daily. One of Cafe Zoolu's most popular menu items is the 3-inch thick pound of fresh swordfish. Cafe Zoolu’s menu also provides beef, pork, lamb, chicken, pastas, vegetarian dishes and appetizers. Share Your Cafe Zoolu Experience! Do you have a great story, experience, or photo from Cafe Zoolu? Share your stories and pictures from this Laguna Beach restaurant!